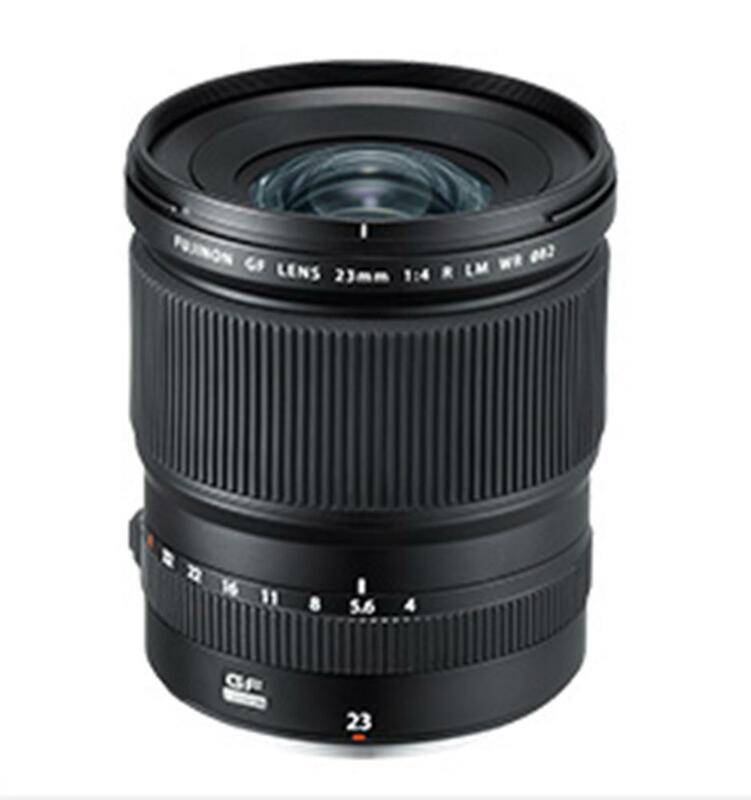 The FUJINON GF23mmF4 R LM WR is a super wide-angle lens and is ideal for shooting landscapes and architectural photography. With a focal length equivalent to 18mm in the 35mm format, the GF23mm lens is specifically designed for the new G Mount and 43.8 x 32.9mm sensor. The GF lens range, which can cope with resolutions up to 100MP, combines the latest technologies with extensive knowledge accumulated from making XF lenses to deliver the best possible image quality and realize the full potential of the new GFX 50S medium format mirrorless camera. The intuitive controls include a C position on the aperture ring, which allows you to adjust the aperture value with the command dial on the camera body. The A (Auto) and C positions is lockable. The GF23mm lens is weather and dust resistant and can work in temperatures as low as -10 degrees C for worry-free shooting outdoors. With a focal length equivalent to 18mm in the 35mm format, this super wide-angle lens is optimal for shooting landscapes and architectural photography. With a 12 groups and 15 elements construction using two aspherical lenses, one super ED lens, and three ED lenses, this lens suppresses distortion despite being a super wide-angle lens with a 99.9 degree angle of view. Also, thanks to the optimal arrangement of the Super ED lens and three ED lenses, chromatic aberration of magnification is thoroughly suppressed, achieving high resolution performance all the way to the edges.